This is a quick and easy way to jazz up your pumpkins. 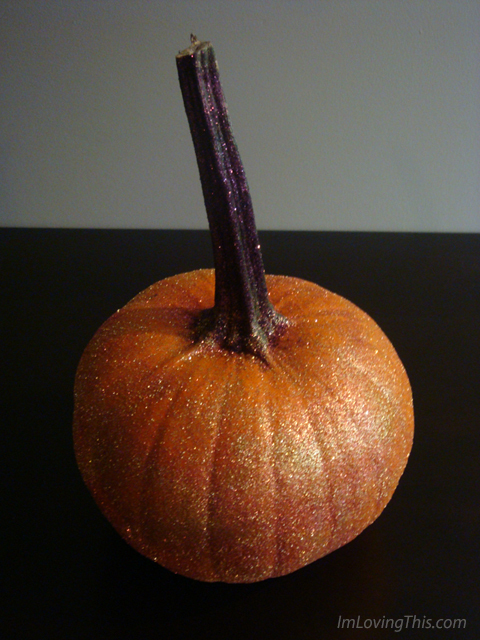 These glitter pumpkins look great on your dining table or anywhere around the house. They also last a long time since you are not carving into them. Fine glitter in colours like gold, copper, dark brown, or whatever colours your prefer. 1. Wash your pumpkins and dry them completely. I washed mine the day before. 2. To protect your table or working surface layer it with newspaper, or you could do this craft outside. 3. Spray your pumpkin with the spray glue adhesive. Sprinkle your gold glitter all over the pumpkin, and then top with the copper color. I applied glitter to mine in two sections. I did the front side and then the back side because the glue drys really fast. 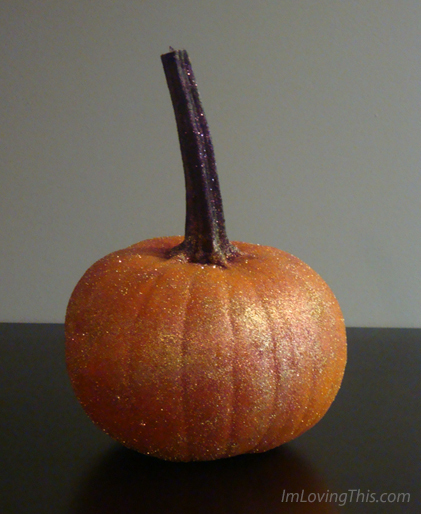 Once done applying glitter; spray your pumpkin one last time with the glue to seal the glitter. 4. Wait for the pumpkin to dry, which only takes a minute or two. Then spray the stem with more adhesive and then sprinkle the dark brown glitter onto the stem. Seal with another coat of glue. You’re done! Now you have yourself a beautiful table decoration that will last all month!